Little Caesars Italian Cheese Breadsticks are one of the most popular menu items at Little Caesars. Did you know you can recreate this recipe at home? Are you looking for the perfect game night snack? Or perhaps you have a special movie night with family and friends, and you want to make something extra special. Or perhaps you are like me and have lived way out in the middle of nowhere and you wanted to make a familiar taste at home. You can do just that with this easy copycat recipe. You will need pizza dough, it can be canned or homemade. You will also need some Italian cheese blend, butter, garlic, and Italian seasoning. I like this best with homemade pizza dough, but canned pizza dough also works well. I believe Little Caesar’s uses a blend o Muenster and mozzarella for their cheese. You could do that, or you can use an Italian blend of shredded cheese sold at the grocery store. You will also need some Italian seasoning. Italian seasoning is a blend of herbs, and it is perfect to jazz up spaghetti sauce or toss on garlic bread. 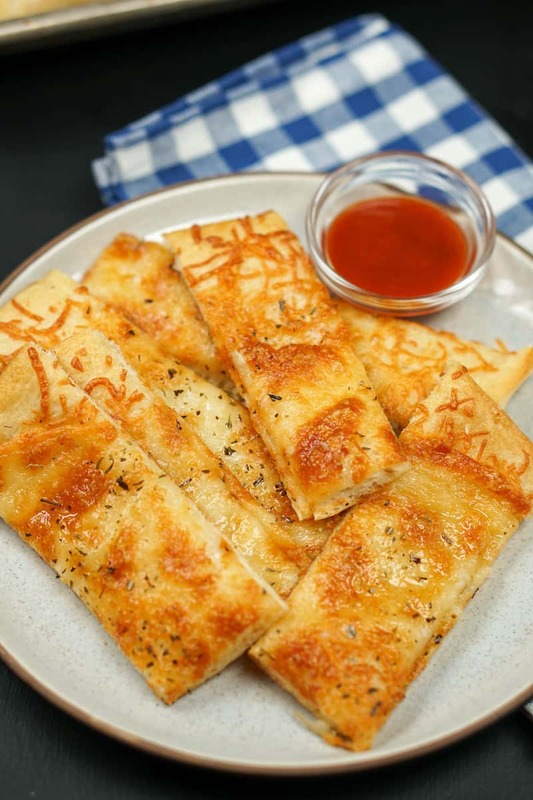 Even if you aren’t an experienced cook, you can make breadsticks at home, they are very easy to do. This recipe is super easy to make, in about 15 minutes you can enjoy fresh hot copycat breadsticks at home. Are you looking for more great pizza inspired recipes? Love Little Caesar's Crazy Bread? You are going to love their Italian cheese breadsticks. Preheat the oven to 400 degrees. Spay a half sheet pan with non-stick spray. Spread pizza dough evenly over the pan. Sprinkle 1 1/2 cups shredded Italian cheese over the pizza dough. Bake for 10 - 13 minutes or until the bread is done, and the cheese begins to brown.While the cheese sticks are cooking heat together 3 tablespoons of butter and 1 clove of garlic in the microwave for about 30 seconds. When the breadsticks are out of the oven brush butter over the breadsticks. Sprinkle with Italian seasoning blend. Cut into pieces and enjoy. I love to eat these breadsticks when I watch Buffy the Vampire slayer. It look so yummy that i’ll try it at home this week!! These look yummy. 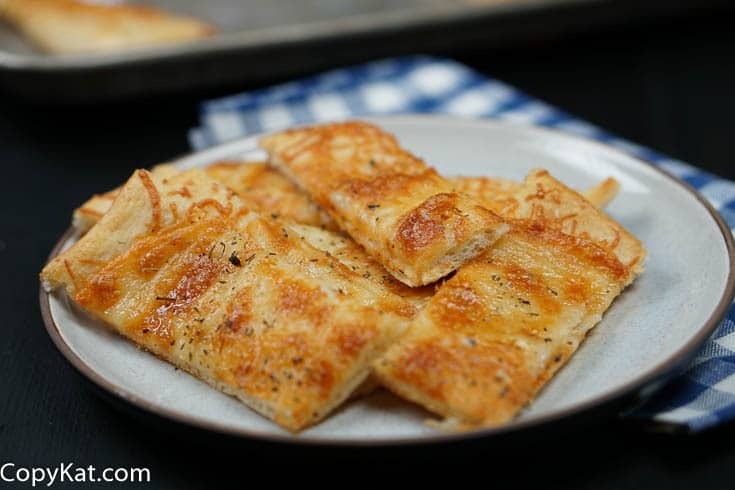 Do you have the recipe for Dominoes Garlic Parmesan Bites? Hubby and I argue over who gets the last one of those. I will note your suggestion! You don’t roll them into sticks. They are actually cut AFTER baking. It works best by using a pizza cutter.